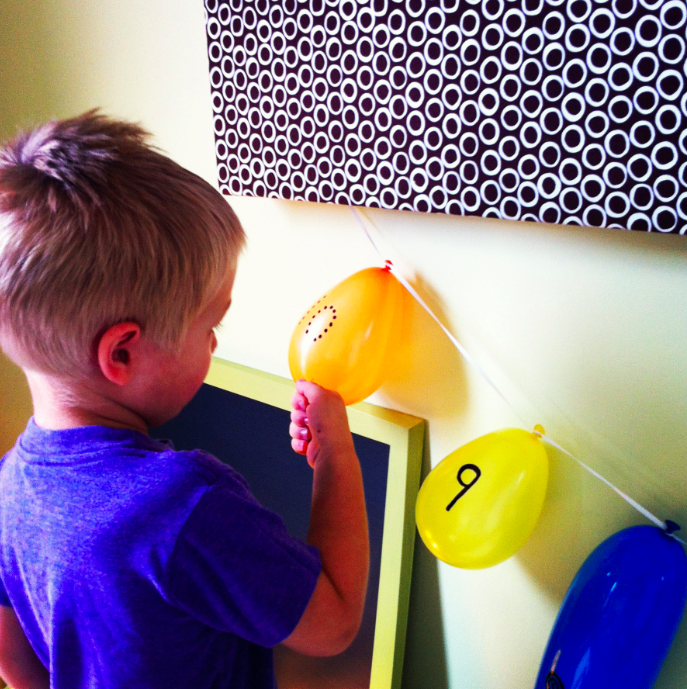 This weekend we made a balloon countdown calendar for my son, to count down the days until preschool begins. I can’t fully take the credit for this idea, because I saw it somewhere before I made it. But I don’t recall where…so…you saw it here first! 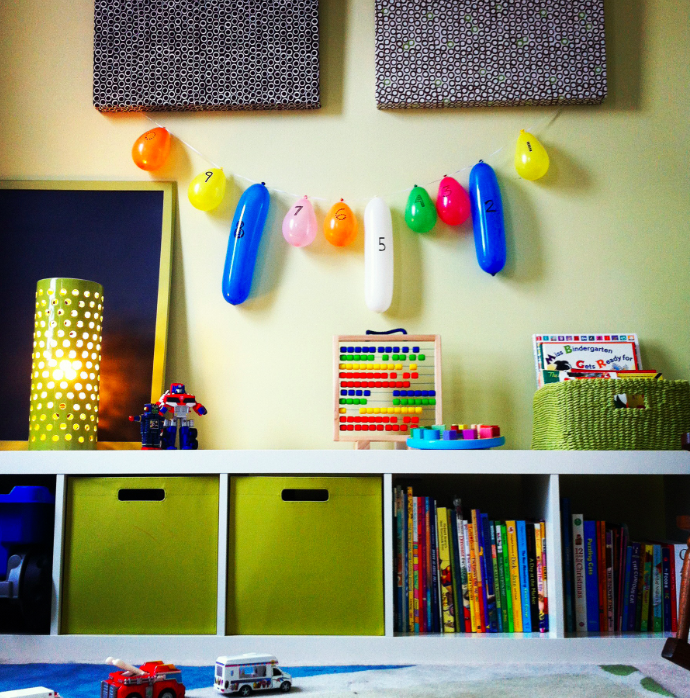 Step 1: Blow up some balloons. Step 2: String them up. Step 3: Write numbers on them. 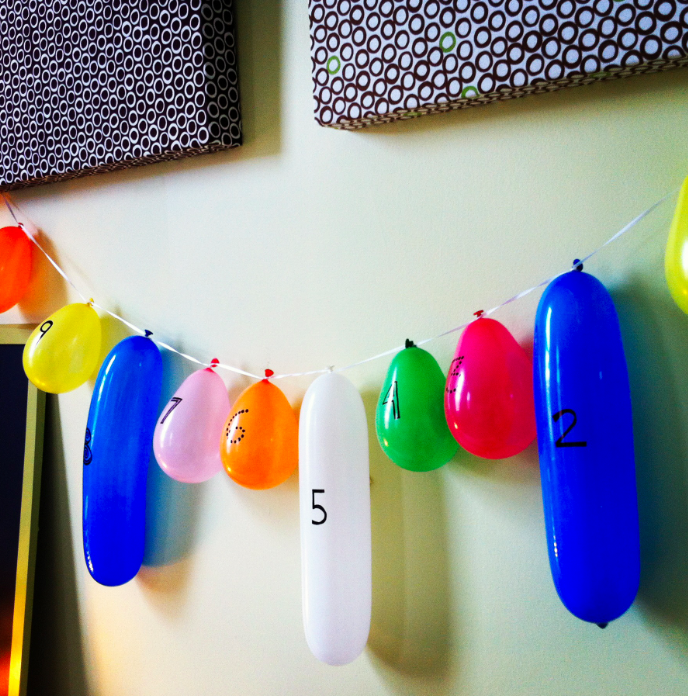 Step 4: Pop the balloons as necessary. 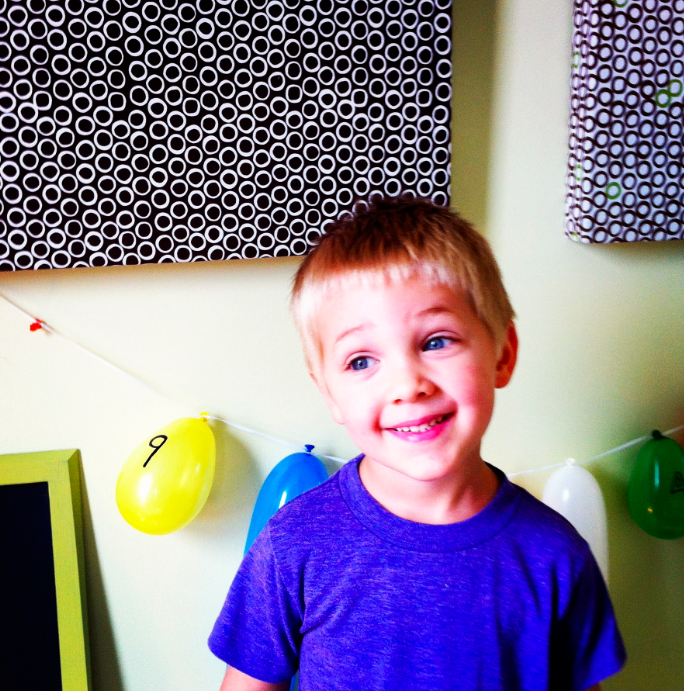 So cute and a great interaction as each balloon gets popped as the days pass!